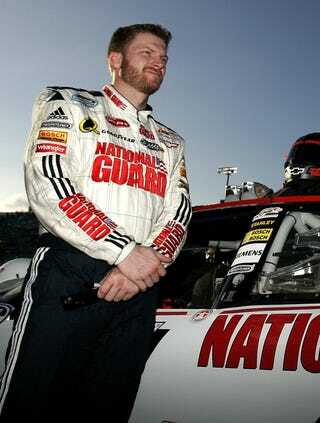 Buy Dale Earnhardt, Jr's Nuts! Fresh nuts! Get 'em while they're hot! You can own the greatest NASCAR collectors item since this piece of roundy-round merchandising. Only in Ohio would you find someone trying to off a set of used nuts. Well, the Carolinas are pretty backwoods. And then there's Texas. Imagine how frantically he was grabbing at those nuts, thinking he hit the big time. Must've looked a lot like the slower kids nabbing at the last pieces of candy with their grubby little fingers. Since it's all in caps, you know he's damn serious.